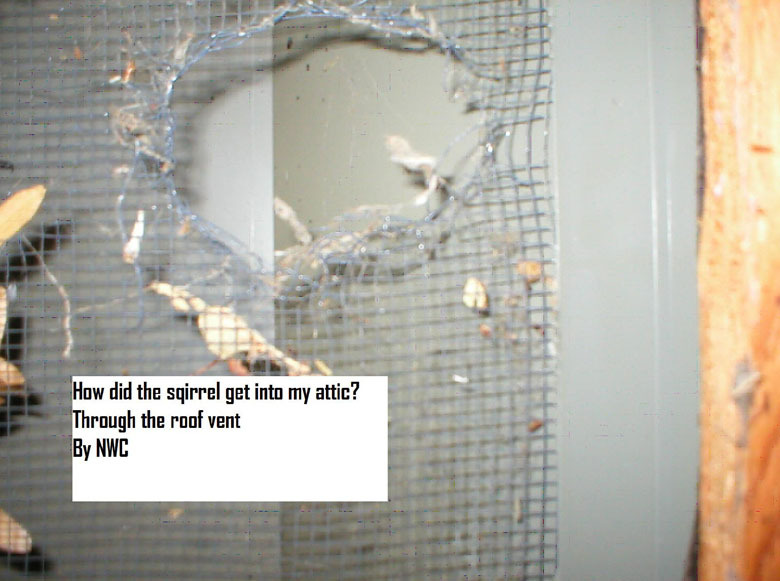 I think I have squirrels, in my attic how can I tell? 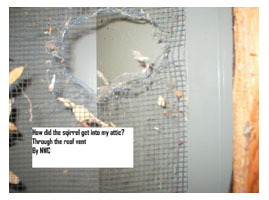 The best way to tell if you have squirrels is to inspect your home. 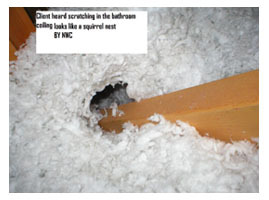 If you can access your attic, look in the attic for trails in the insulation. If you have grey squirrels in your area the trails will be 4-6 inches wide. If you have red squirrels the trails will be 2-4 inches wide. 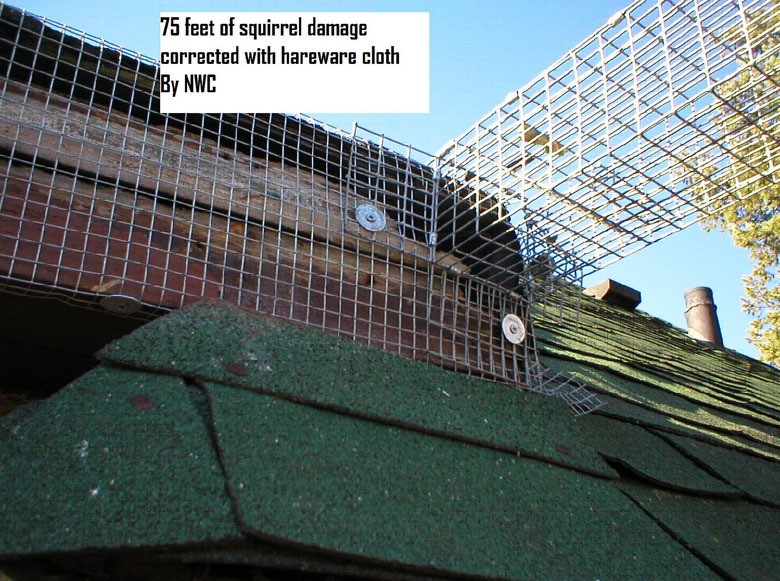 Remember red squirrels are ground squirrel and can enter anyplace from the foundation up to the roof. Look for food cashes or a squirrel nests. 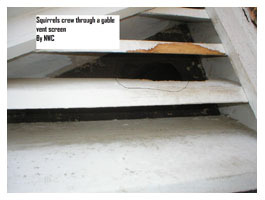 If you can see your roof vents look for the screens crewed out. see if they have chewed out the screens. 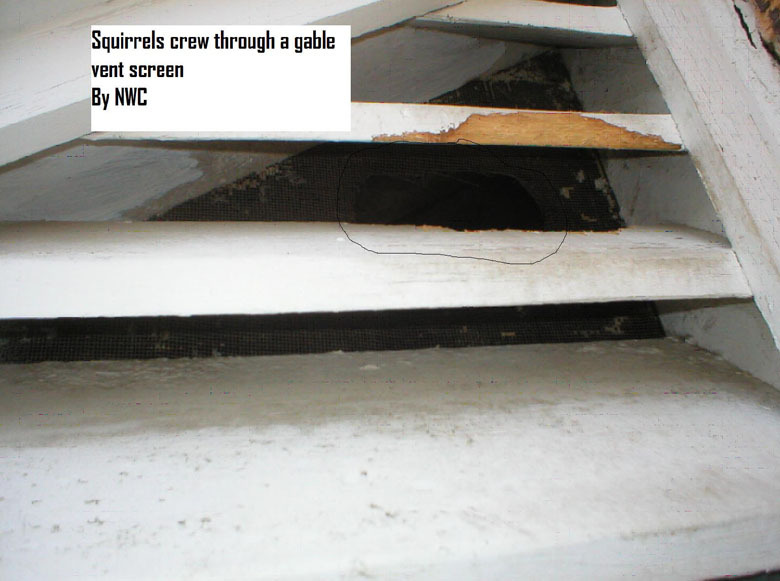 Visually inspect your fascia and soffits for obvious holes. Watch the squirrels and see where they go. Look for trails in the snow. Squirrels are animals looking for an opportunity. 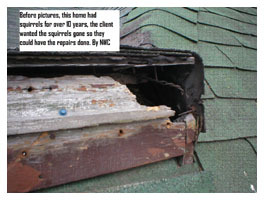 If you have a fascia or soffits that is starting to deteriorate, the squirrels will find it and take advantage of it. What kind of noises do squirrels make? 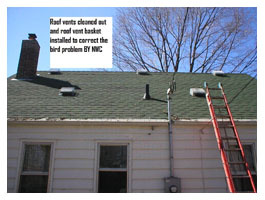 You will hear running in your soffits, running on your roof. Scratching in your ceiling or walls and crewing. You will hear these sounds during the day unless you have flying squirrels. If you have flying Squirrels you will hear these noises at night and it will sound like you have a circus in your attic on rainy nights. When the babies are born they can be real noisy. They will make a lot of noise when mom leaves and returns to the nest. Is their any pesticide for squirrels? ABSOLUTELY NOT!!!!! 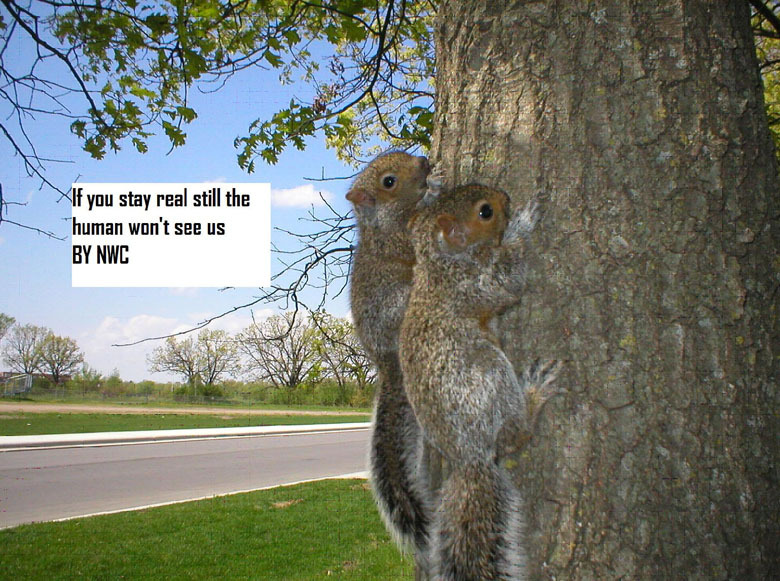 This is a real hot subject for NWC. 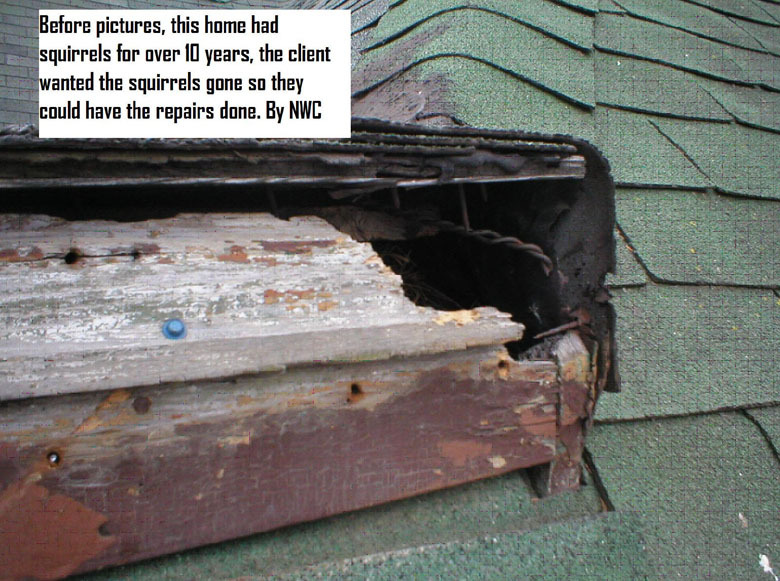 Every year we have to euthanize squirrels that have been poisoned by homeowners. 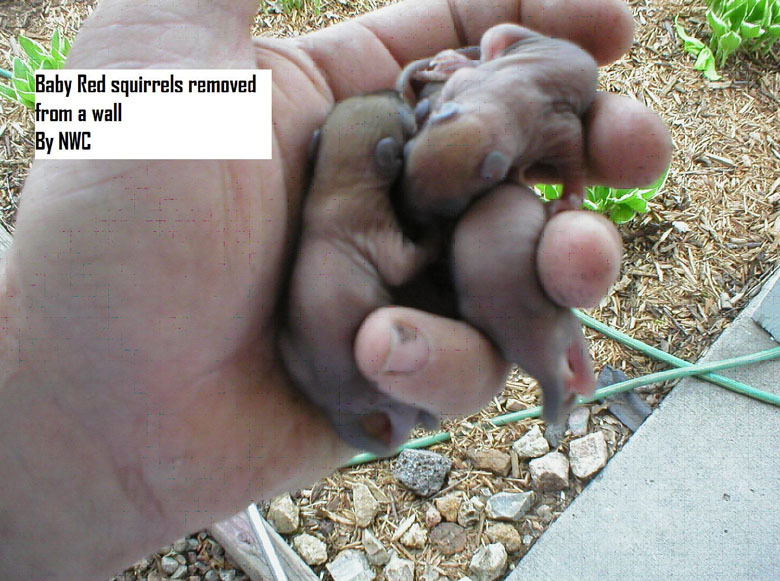 The Squirrels are usually bleeding from every orifice, because of the rat poison used. When a company produces a poison they make it for the weight of a certain animal . Rat poison is made to kill a 3oz rat not a 16 oz squirrel. Please don’t let the animals suffer, do it right !!!!!!! When do squirrel give birth and at what age are the young mobile? Grey Squirrels will have 2 litters a year, one in the spring and one in the fall. 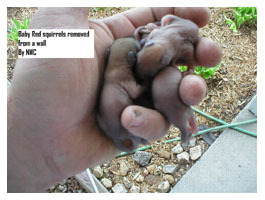 Red squirrel and flying squirrels will have one litter in the spring. 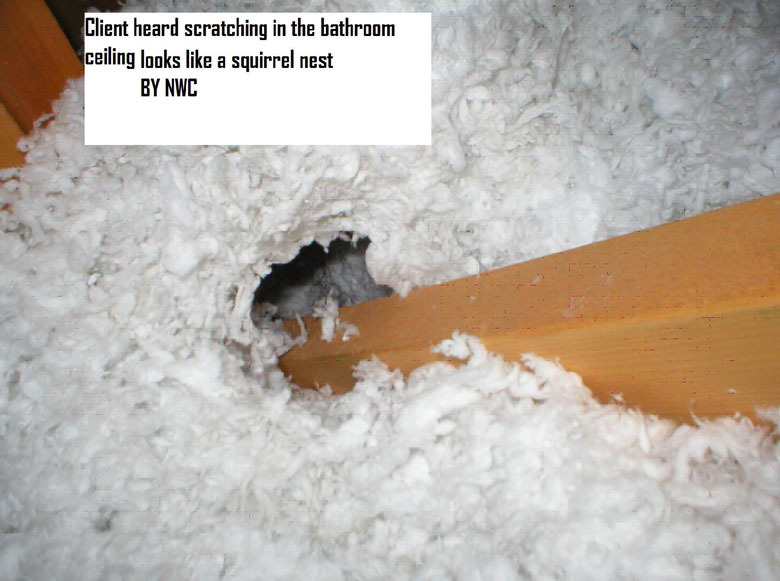 It takes about 45 days from birth until a squirrel regularly leaves its nest. Trapping a mother squirrel before the young are old enough will strand the young. What is the best way to get rid of squirrels? There two ways get rid of squirrels. 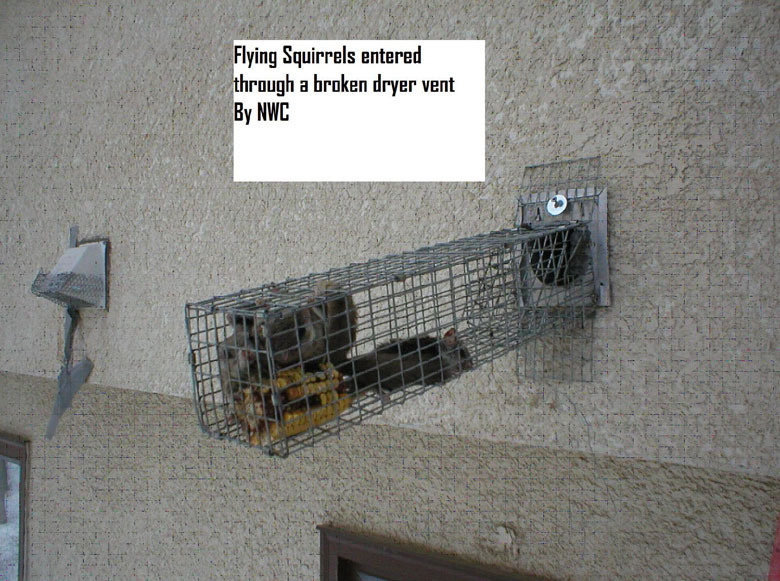 You can live trap the squirrels. Make sure that the young are old enough to be trapped and relocated with the mother. Or you can use an excluder, this is a one way device that lets squirrels out of the home and not back in. Once again if the young aren’t old enough and you can’t find the nest to hand remove the babies; you must wait till the young are leaving the nest before using any trapping device. Once I get rid of the squirrels how do I keep them from coming back? 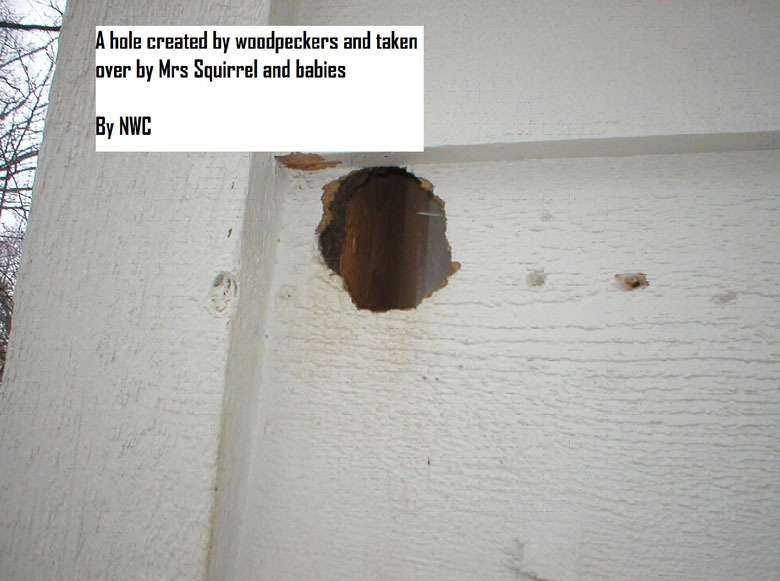 Most people that have removed squirrels soon figure out that they have a new bunch that have moved in and chewed a new hole into my home. 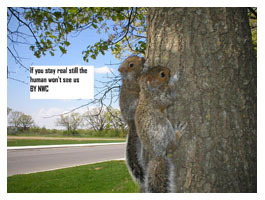 Squirrels are very territorial , we’ve all seen the squirrels chase each other in our yards. Once a family is removed a new family moves in and takes over that territory. If the home has had squirrels before it smells like squirrels and the new family makes a new entrance. 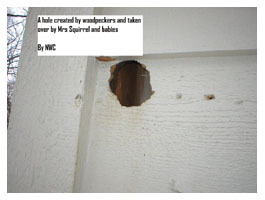 So the home must be made squirrel proof to keep this from happening again. 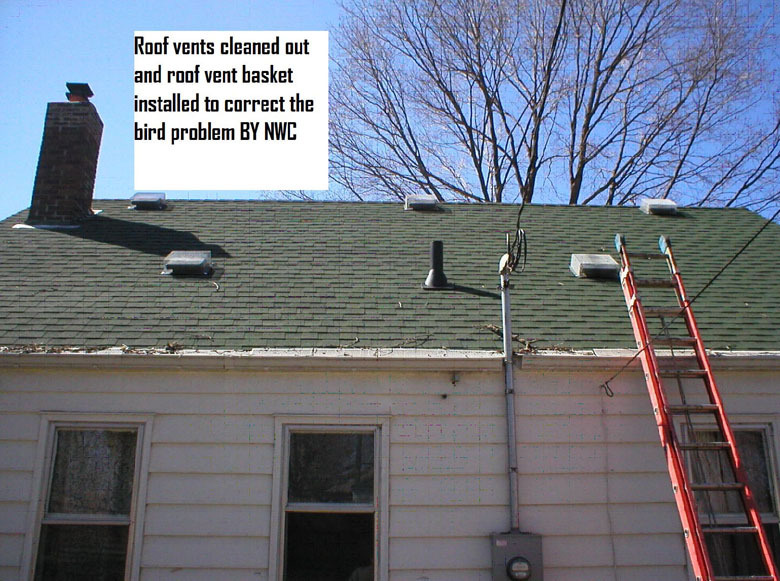 If the squirrels have chewed through the roof vents we have to install roof vent baskets on each roof vent. 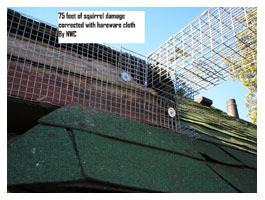 If they have chewed a hole in your fascia or soffits these must be protected with hardware cloth until the squirrels have found a new spot to live. This usually takes between 60-90 days, and then the repairs can be done. I don’t know how many people have told me that they had squirrels and evicted them out and completed the repairs and with in 24 hours the squirrels have chewed through again. ???????? 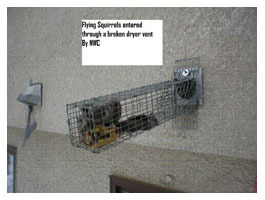 Or they had squirrels trapped last year and they have them this year. We have no shortage of squirrels in most neighborhoods and the only population control they have is an occasional car that takes one out.